Share your own exceptional outside-the-box sound design. BOOM Library, producer of high-quality sound effects, started their Turbine contest today. 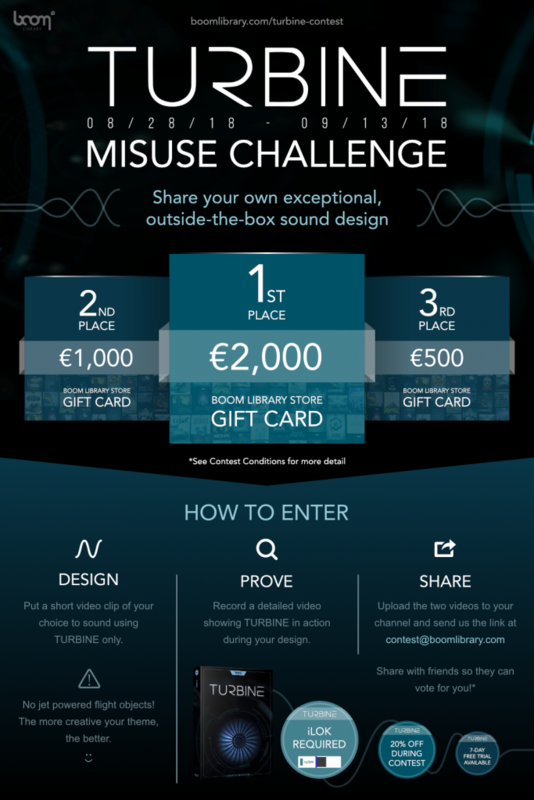 Get the chance to win a €2,000 gift card for their online shop with your own creative sound design. During the contest the Turbine plug-in is discounted by 20%.